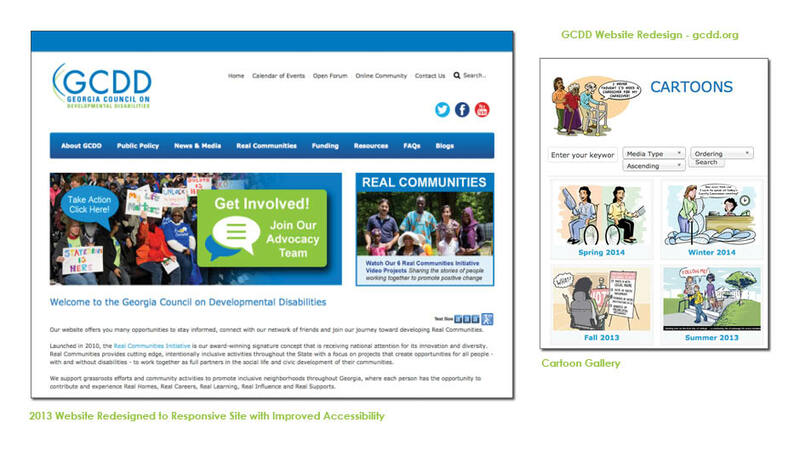 The Georgia Council on Developmental Disabilities (GCDD), who advocates for Georgians with developmental disabilities, recognized the need to better connect with the community through a comprehensive social media plan in conjunction with a website re-launch. As part of a new website launch in 2010, O’Neill Communications created an online presence and directed traffic to the website through the strategic use of Facebook, Twitter, YouTube and blogging. The social media platforms are combined to engage target audiences, build conversations, exchange information and educate GCDD followers. The website focuses on connecting the community through interactive videos, audio clips and polls and petitions. 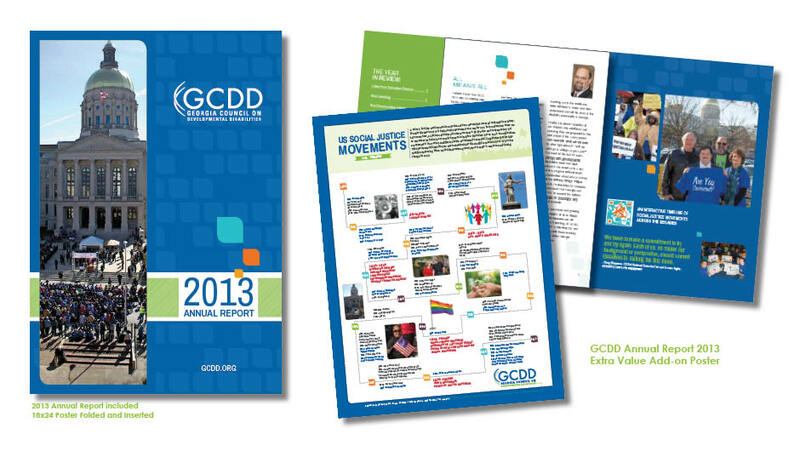 GCDD also produces a quarterly magazine, Making a Difference, to keep Georgia’s disability community updated on topics, policies and resources, as well as an annual report. 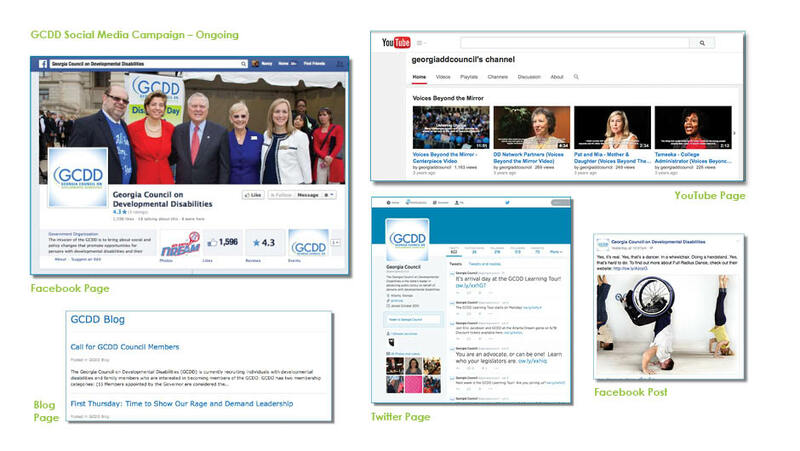 O’Neill Communications has organized, written and designed the GCDD quarterly magazine since 2001. Early on, the firm converted the magazine to four-color and completely redesigned the content and layout bringing it a fresher, more appealing look. O’Neill develops and writes relevant content, connects with leaders in the disability community, manages the editorial process and sells ad space. 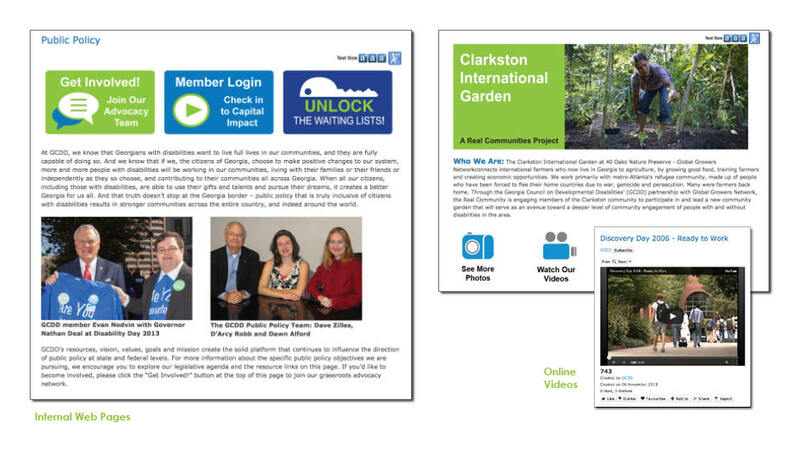 After a new logo and branding were developed in 2010, the firm redesigned the website and completed a second makeover to the magazine to integrate the new branding. O’Neill Communications continues to work closely with the GCDD staff to develop the editorial focus of each edition and ensure the publication meets the needs of GCDD and its readership while staying relevant to the issues affecting the disability community. The annual report is designed every year to provide the disability community and other stakeholders with information about the Council's activities and financial performance. 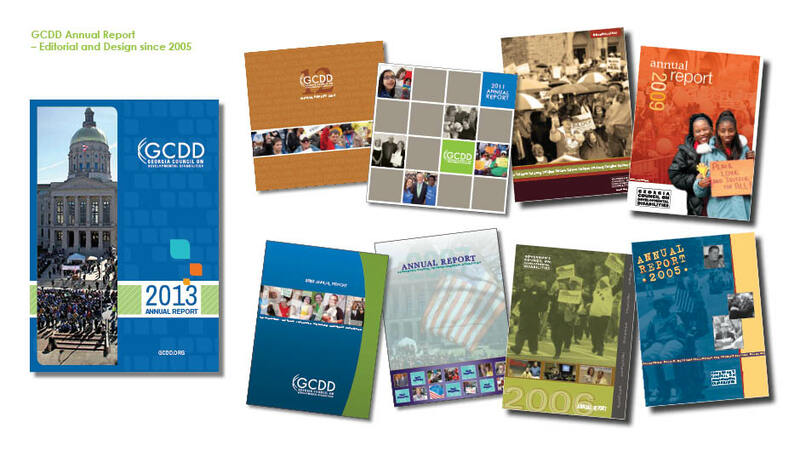 O’Neill Communications has designed and printed the GCDD Annual Reports since 2004. Working within a limited budget, the firm has been able to produce quality design and a much more professional product than in the past. The website has transformed into an integral resource for information and updates in the disability community based on implementation of social media across multiple platforms. Based on monthly analytics of the GCDD website and social media, Facebook continually ranks as the top outside referral to the site, indicating the value of utilizing social media platforms. 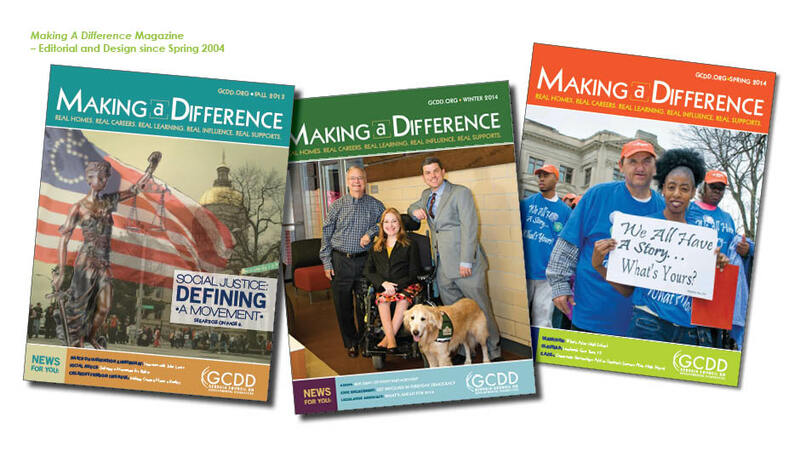 Making a Difference is a first-class publication that GCDD uses regularly to support its advocacy efforts with state legislators and local communities and is distributed to more than 5,000 media and constituents throughout the State quarterly. The magazine has evolved as a valued resource in the disability community and is available in print, online, as well as promoted through GCDD’s social media platforms. 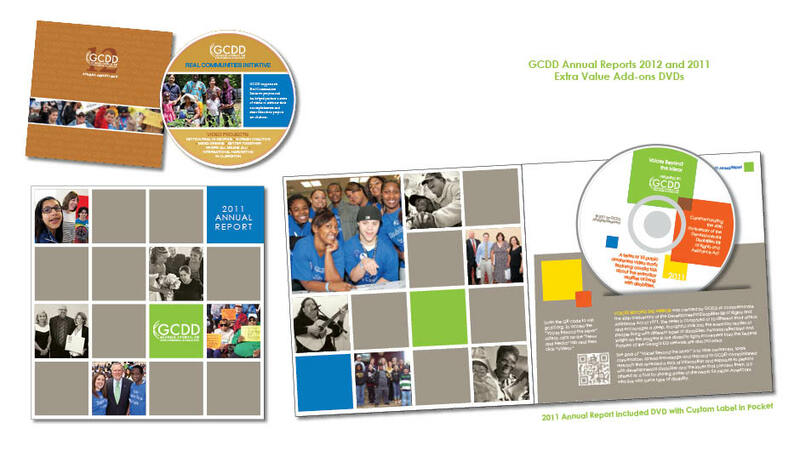 The annual report has also received accolades from stakeholders in the disability community for its presentation of information in a graphically pleasing format. 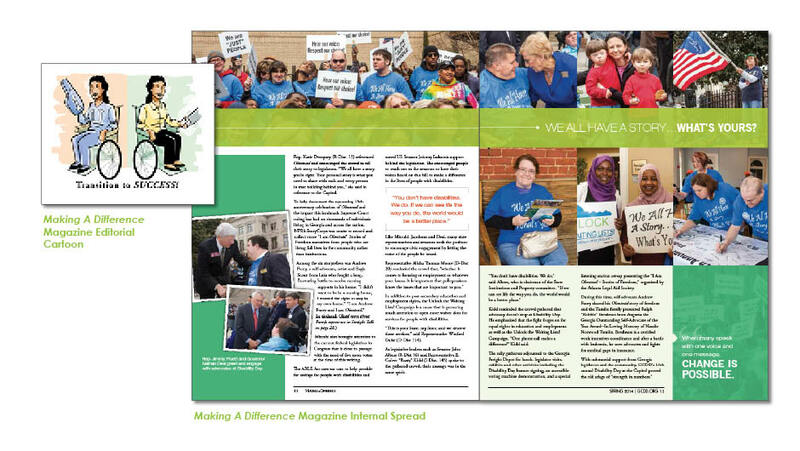 O’Neill Communications is responsible for the quarterly production of the 32-page glossy magazine, Making a Difference, for GCDD. The firm plans editorial concepts and manages production from written content to layout, and distribution to over 5,000 subscribers around the state. O'Neill also manages the website maintenance and content through graphics, photography, videography and written copy along with the social media campaign through Facebook and Twitter for GCDD.